Roman Weidenfeller has signed a one-year contract extension with Borussia Dortmund, tying the veteran goalkeeper to the Bundesliga club until 2018. Want Weidenfeller in your Official Bundesliga Fantasy team? Sign him up here! 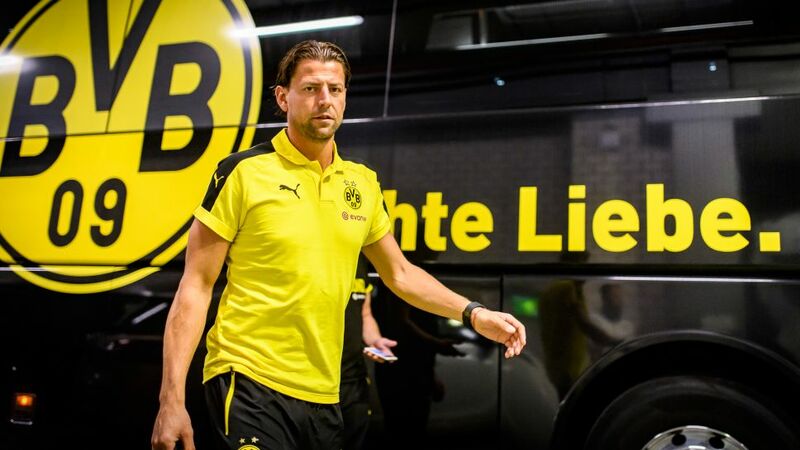 Weidenfeller, who will turn 37 in August, has been at the club since 2002 and is second only to sporting director Michael Zorc in Bundesliga appearances for the club having featured in 347 top-flight matches for Die Schwarzgelben. He missed just three games over the two seasons that Dortmund won back-to-back Bundesliga titles under Jürgen Klopp between 2010 and 2012, but has played just eight top-flight encounters since Roman Bürki's arrival at the SIGNAL IDUNA PARK in summer 2015. Weidenfeller insisted playing back-up to the Switzerland international was now his most important role. "I have decided on a further year with my club and would like to support Roman Bürki in his development, and so help a young goalkeeper grow. I would like to soak up every last emotitional moment in black-and-yellow and I would like that to start on 27 May in Berlin." The DFB Cup final against Frankfurt later this month could mark the start of a fitting 12-month swansong for Weidenfeller, adding another trophy to a well-stocked collection that includes a 2014 FIFA World Cup winner's medal.